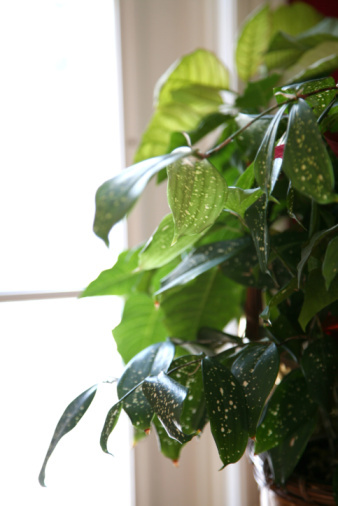 Houseplants increase humidity in the air through a process known as transpiration. Plants absorb water through their roots, then circulate the moisture through stems and leaves with a vascular system that's comparable to human veins and capillaries. Water reaches the leaves, evaporates into the air and increases indoor humidity. A National Air and Space Administration (NASA) study also showed that certain high-transpiration plants could remove up to 87 percent of indoor air pollutants within 24 hours. Some houseplants, such as English ivy, can increase your home's humidity levels. The areca palm, or Chrysalidocarpus lutescens, has one of the highest transpiration rates of any houseplant and is especially effective at adding moisture to indoor air. According to NASA scientist Bill Wolverton, the plant releases "copious amounts of moisture into the air." One 6-foot palm can transpire up to 1 quart of water every 24 hours. The areca palm is an upright perennial that prefers full sun, moist soil and warmer temperatures. Areca palms are relatively low maintenance, but do require occasional pruning. Trim off any yellowed or brown-spotted fronds at the base and snip dry, brown frond ends if you wish. Make sure to provide areca palms with enough water or fronds will turn yellow. The rubber plant, or Ficus robusta, has a high transpiration rate. Rubber plants prefer partial sun to partial shade and can tolerate cooler temperatures and drier soil than many other indoor tropical plants. Water sparingly and let the plants dry between watering. Rubber plants can reach heights up to 8 feet. The peace lily, or Spathiphyllum, is a flowering perennial with a high transpiration rate. Peace lilies, also known as white anthurium, prefer filtered light and moist, well-drained soil. Do not place peace lilies in direct sun as their leaves burn easily. Most varieties reach heights up to 4 feet, but some can grow as tall as 6 feet. The plants produce long-lasting, dramatic white flowers. 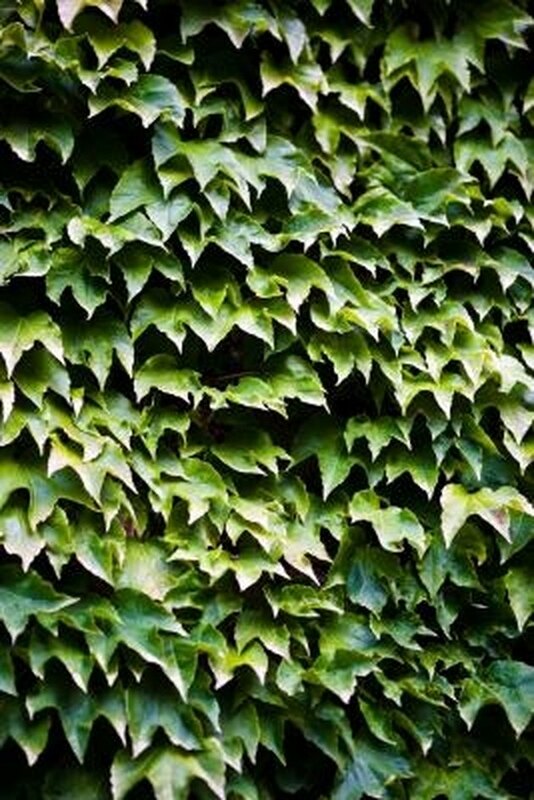 English ivy, or Hedera helix, is a climbing perennial. The plant is often grown in hanging or trailing pots and prefers bright sun. Wolverton recommends growing English ivy underneath areca palms. If left to grow unchecked, English ivy vines can reach up to 100 feet long. Plants prefer well-drained soil. Let English ivy dry between waterings. The spider plant, or Chlorophytum comosum, is a trailing perennial with a high transpiration rate. Spider plants prefer medium to bright light. Let this hardy plant dry between watering or leaves can turn black. Spider plants produce offshoots that look like little spider plants. These "babies" can cause stress to the main plant, so trim offshoots at the stem then remove the stem from the main plant. Plant the cuttings directly in soil or water where they can root and start a new plant.